The information in CETA and the Arts adds vital fuel to the current debate around the economic crisis and its impact on the arts. Between 1973 and 1981, the U.S. Government spent more than $300 million on a jobs program for artists. CETA (Comprehensive Employment and Training Act) placed artists in communities, creating and training others to create murals, paintings, photography and sculpture in public parks, public schools, agency lobbies and waiting rooms. CETA also funded artist residencies and temporary staff positions in arts organizations. This eBook makes available a government report detailing and analyzing the results of 15 CETA arts programs in different states across the U.S. 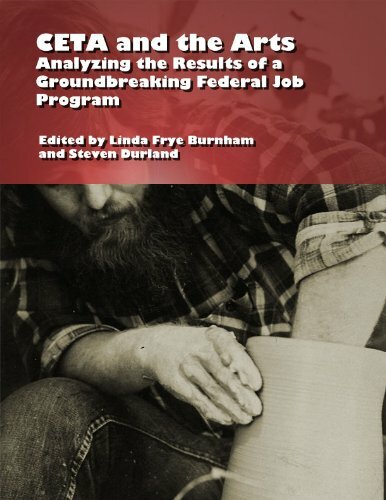 The book contains selected portions of “The CETA Art and Humanities Experience,” a report prepared for the U.S. Department of Labor in 1981 by Morgan Management Systems.